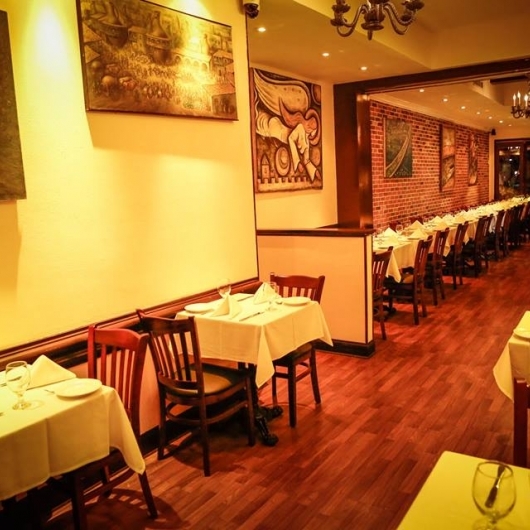 The New York Village Voice website published an article about the Georgian restaurant in Manhattan. 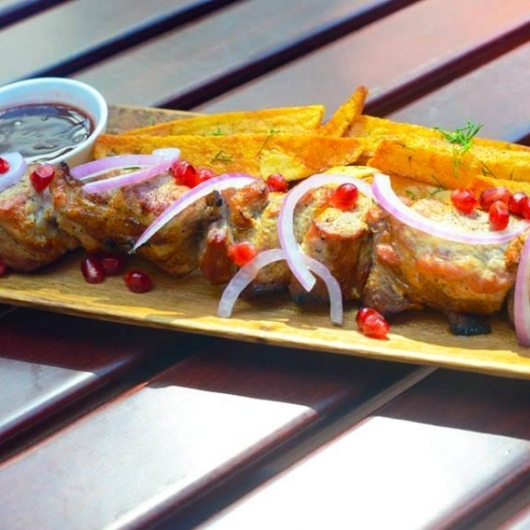 now boasts a pair of restaurants serving food from this country: Oda House, which opened last year, and the brand new Old Tbilisi Garden (174 Bleecker Street, 212-470-6064), named for the capitol city of the Motherland, which relocated from Kings County. The new location brought a slight name change (in Brooklyn, this spot was known as Tbilisi Restaurant), as well as a full liquor license and a back garden adorned with mossy rocks, white table cloths, and waterfalls. 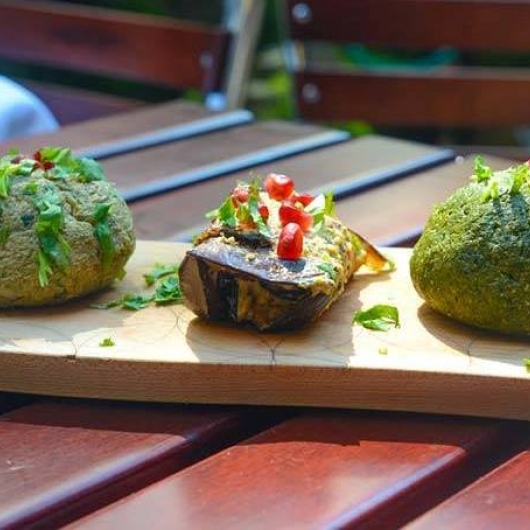 Georgian food can sound a bit intimidating at first, and owner Pikria Basaria, along with her husband Vano Kratsashvili, hope to educate the uninitiated. 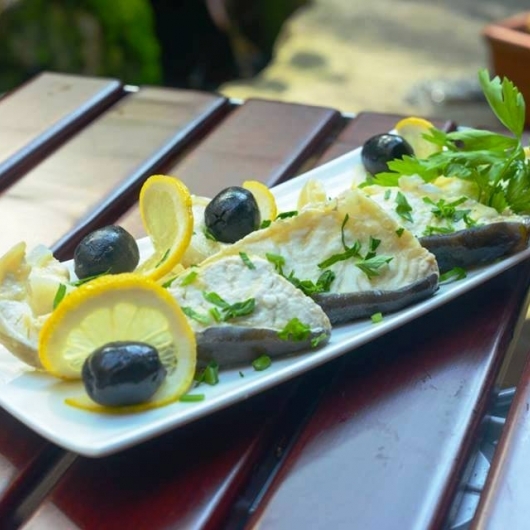 "Georgian cuisine is like a comfort food," Basaria says. "It's not something you need to be afraid to try." Although the menu is full of dishes hard to wrangle for the unfamiliar tongue, the flavors play out in well-loved contexts. Ajapsandali is the marinated, grilled, and chilled appetizer platter of smokey and smooth peppers, eggplant, and zucchini. Shqmeruli, with huge hunks of bone-in chicken sizzling in a creamy herbed sauce, is the Georgian take on a filling peasant's stew. 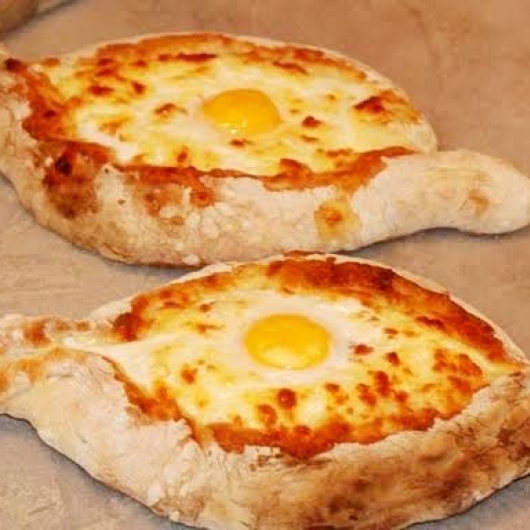 And then there's the khachapuri. This bread, topped with mounds of Sulguni cheese (and in one variety a poached egg), is baked until piping hot, the salty dairy gooey and molten. 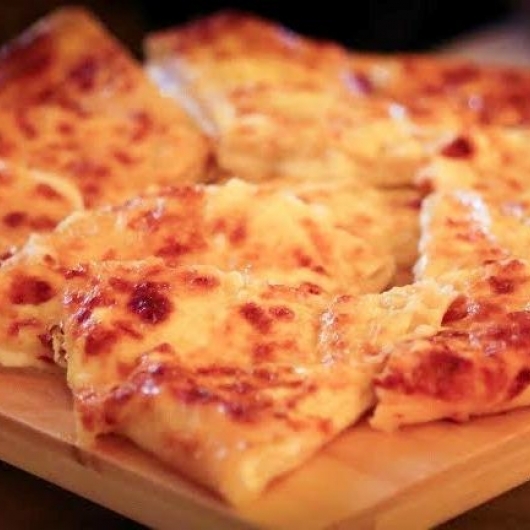 When the bread is torn apart, as it surely will be upon arriving at the table, the cheese stretches an arm's length before it can be dropped into waiting mouths. It is delightful. Georgian dishes require many spices that simply can't be found in the United States, so the couple asks their relatives to source what they need at local markets in the old country and ship them for use in the restaurant. Basaria thinks this step is critical in creating an authentic meal: "The spices are grown with very special care - like how we cook the meals," she says. 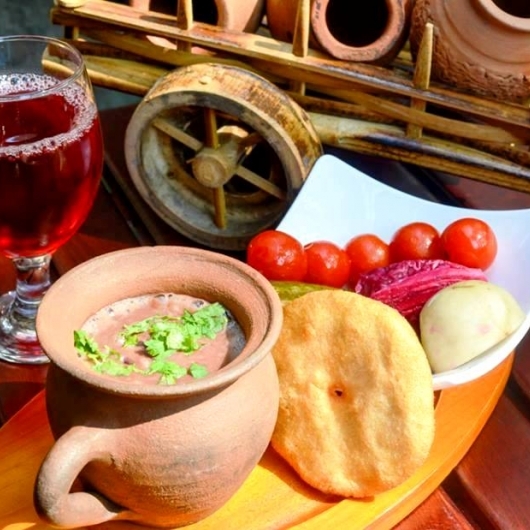 Old Tbilisi Garden is open from 11 a.m. until 1 a.m. Sunday through Wednesda, and 10 a.m. until 2 a.m. Thursday through Saturday,” the New York Village Voice informs.